When I was young, my mum loved to assign me the task of folding wontons while she busied herself with other stuffs in the kitchen. “Go watch TV while you fold the wontons,” she would often instruct, “just fold them into triangles.” Since then wonton soup has become my no. 1 dish—it was the first dish I cooked for Mr. P—and I’ve been folding wontons into triangles just like how my mum had taught me. I never thought to adopt other methods (that just shows how uncreative I am) until I chanced upon a dumpling recipe in a cookbook recently. 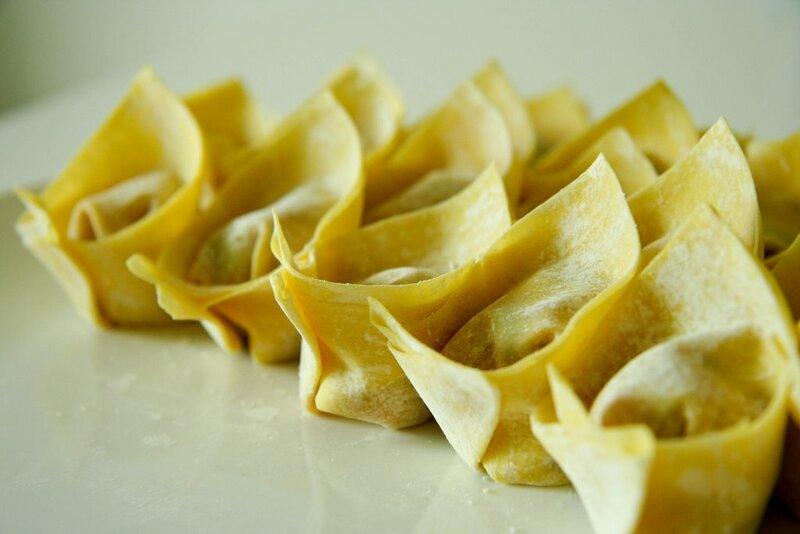 The author showed different ways of folding wontons and I was inspired to try them. 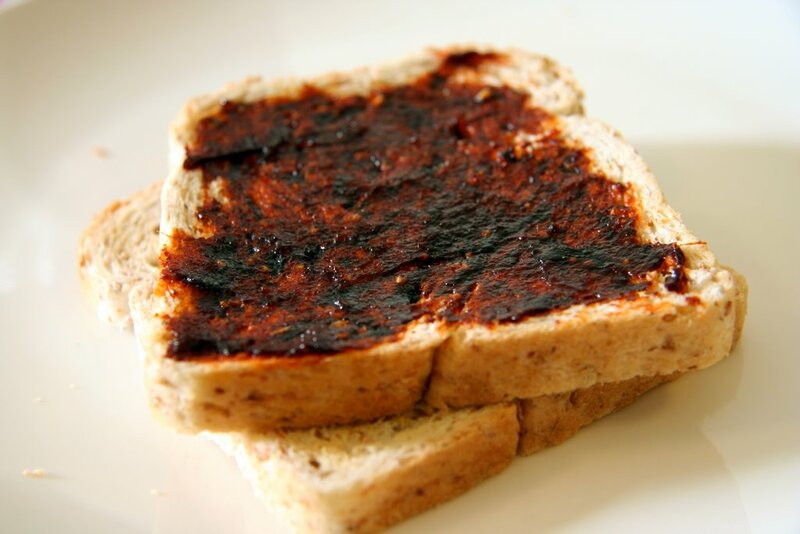 I popped two pieces of bread into the toaster, then slathered a thin layer of chilli jam on top of one piece. I was still a bit skeptical, so I didn’t dare to apply a thick layer lest it wasn’t to my liking. I bit onto my toast and the now-I-know-why feeling immediately flashed in my mind. It was really delicious, with a hint of spice and saltiness, and which balanced very well with a slightly crunchy toast. “You should try Xin’s winged bean salad. It’s much nicer than this restaurant’s version,” said Mr. P to ZP, who was passing by Bangkok and having a dinner with us on a Monday evening. 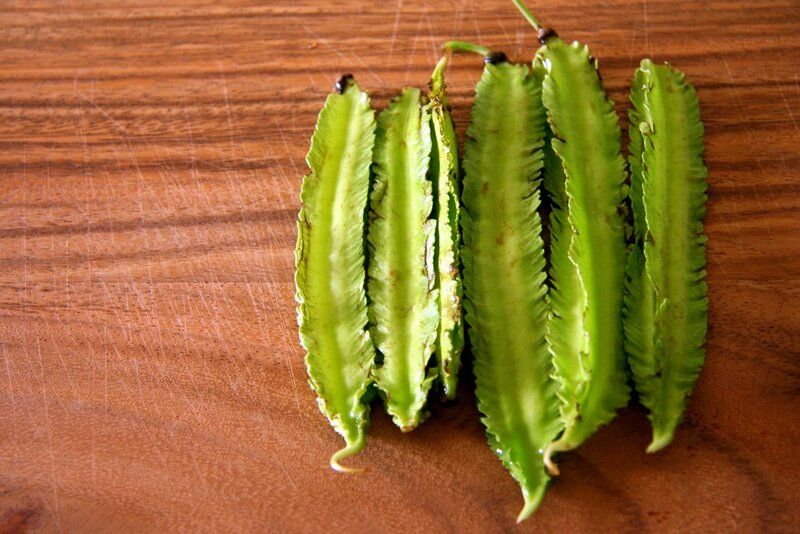 Seriously, I don’t think my winged bean salad is that delicious—still lots of room for improvement—but to receive such encouraging remarks, particularly from someone dear, I was touched and even more determined to improve my cooking skills. 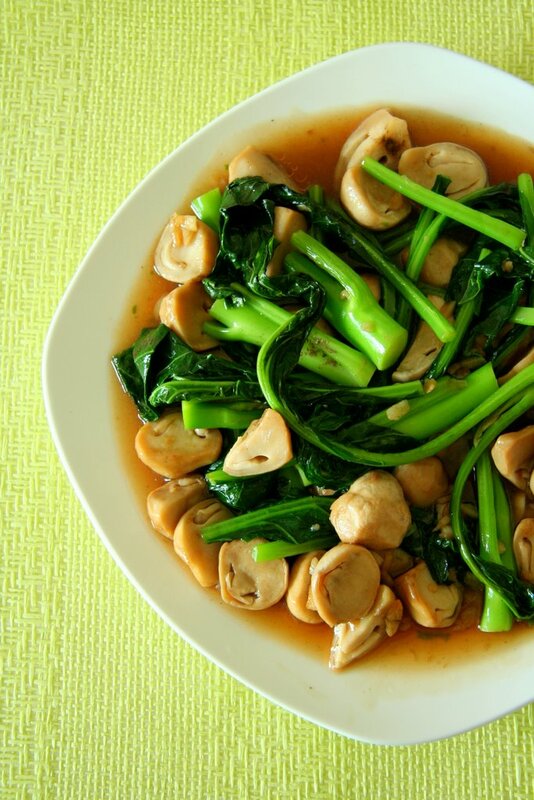 A leafy vegetable with thick stems, glossy leaves of a dark green shade and vestigial yellow flowers, Chinese kale, or Chinese broccoli, is very popular in Asian cooking. 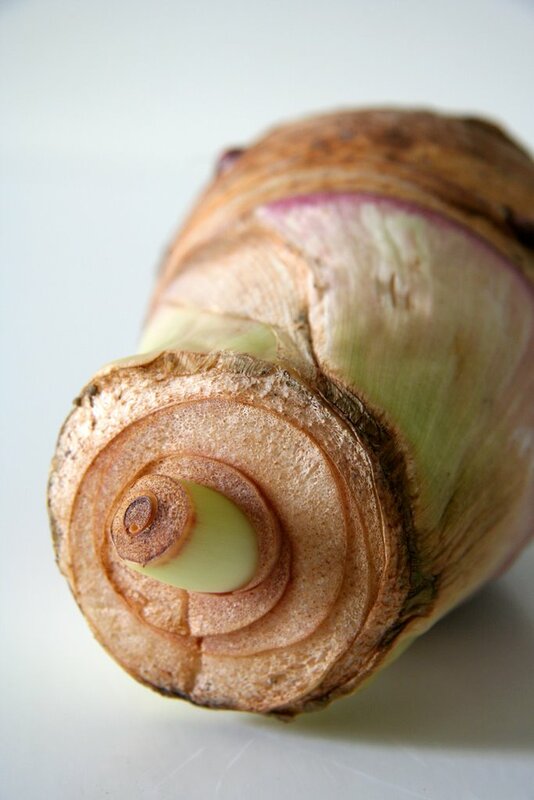 It goes well with many vegetables, such as shiitake mushrooms, crispy pork belly and salted fish. Chinese kale is probably one of best vegetables for stir-frying and gives confidence to an amateur cook like me. I love to rinse Chinese kale under running water, as rubbing the leaves’ leathery textures remind me of water droplets bouncing off lotus leaves. 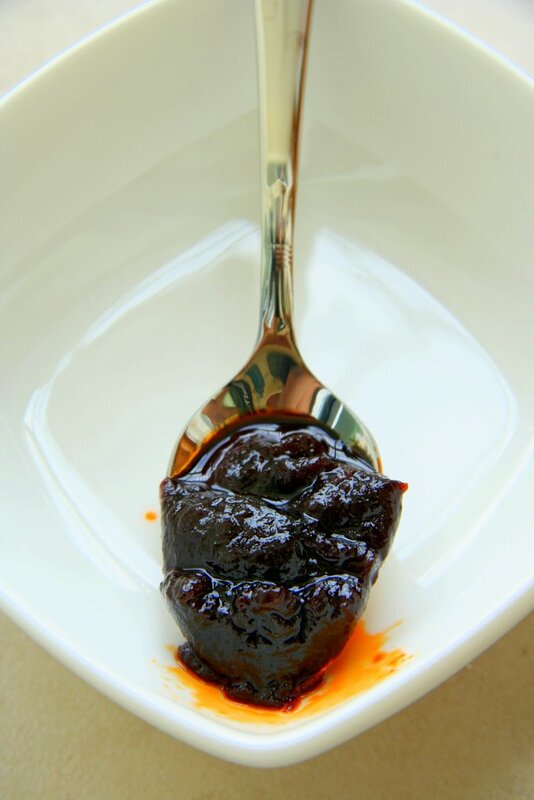 I’m starting to discover the wonders of naam phrik phao (นำ้พริกเผา), a type of Thai chilli paste made by dry-roasting and pounding dried chillies with shrimp paste, dried shrimps, palm sugar and fish sauce. A very versatile sauce in Thai cooking, its uses range from flavouring soups to complementing omelettes to being a jam spread on toast (never tried that!). Since I was a kid, I’ve always loved yam, from traditional Chinese food including or nee (芋泥) and suan pan zi (算盘子) to fast-food items such as Burger King’s taro turnover. Or nee used to be commonly served during Chinese wedding dinners in Singapore some 20 years ago; I remember relatives at other tables would pass over remaining bowls of or nee for the young, greedy me to gobble it all up. However, I hardly see any wedding dinners offer or nee nowadays, and a tasty bowl of or nee is becoming increasingly harder to come by too. I’ve been wanting to sketch for the longest time, having seen loads of talented artists out there who can simply breathe life to their drawings with a few lines. Learning to sketch was one of my resolutions for 2011 and I even gotten sketchbooks and pencils; however, I didn’t act on this desire until last Saturday when Mr. P was away on a business trip and I had some time alone. 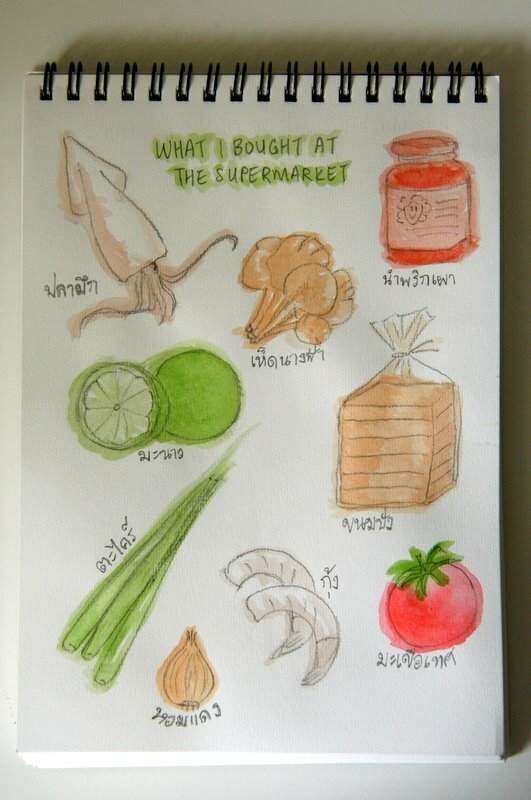 I looked around the kitchen for inspiration, and in the end decided to sketch the food items bought at the supermarket earlier. I rummaged through Mr. P’s design stuff for the water colours and brushes. I guess this sketch wasn’t too bad for starters (I like my squid!) but the colours could certainly be brighter, livelier and closer to their original tones.